Flowers are the way into any woman's heart. If it's your Mom, your love, or a friend, send her a bouquet and watch her whole world get brighter. 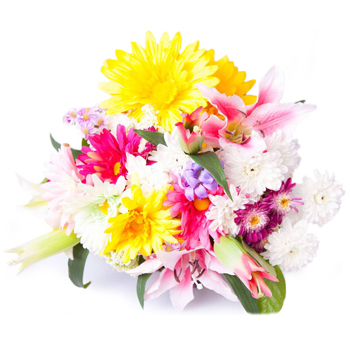 Your recipient will receive a stunning Bouquet of assorted Seasonal Flowers that are bursting with color. Say Happy Birthday, send your love, or wish them well with Vibrant Love.